Sepsis is more common than heart attacks, and claims more lives than any cancer, yet many people have never heard about it. Sepsis is a life threatening medical condition often called blood poisoning, that arises when the body’s attempt to fight an infection results in the immune system damaging tissues and organs. This chaotic response, designed to protect us, causes widespread inflammation, leaky blood vessels, and abnormal blood clotting resulting in organ damage. In severe cases, blood pressure drops, multiple organ failures ensue, and the patient can die rapidly from septic shock. Patients vary in their response; the severity of their sepsis and the speed with which it progresses is affected by their genetic characteristics and the presence of coexisting illnesses, as well as the numbers and virulence of the infecting micro-organism. Some patients seem not to deteriorate until late in their illness, in others sepsis progresses rapidly and can be fatal within a few hours. Infections can develop anywhere in your mouth. Common infections are in the gums but all the tissues in your mouth are susceptible to infection. Dental infection, within or below a tooth, can be caused by tooth decay or a tooth that has broken causing the pulp to become infected. Anywhere an infection occurs bacteria can move out of the tooth to the bone or tissue below. This will lead to a dental abscess. If the infection is untreated sepsis may develop. Early detection of sepsis is vital for treatment success and survival. See your dentist immediately. Your dentist should examine you carefully and if clinically necessary provide x-rays. Usually a dentist will prescribe anti-biotics but these should not be the only treatment. Antibiotics should be used as an adjunct to treatment. 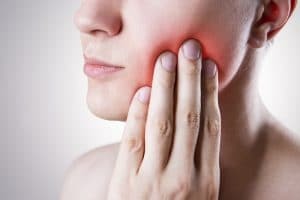 Depending on the location and severity of the infection the dentist may carry out root canal treatment or refer you to a specialist to carry out the treatment. Of course you can take steps to try to prevent infections. The Oral Health Foundation recommends brushing your teeth last thing at night and at least one other time during the day with fluoride toothpaste; cleaning between teeth with interdental brushes or floss at least once per day; good eating habits (having sugary food and drinks less often) and regular dental check-ups. If you are unlucky enough to have an infection see your dentist urgently. Hopefully you will never need a lawyer to help you recover compensation as a result of substandard dental treatment but if you do, we are very experienced in all types of dental negligence.